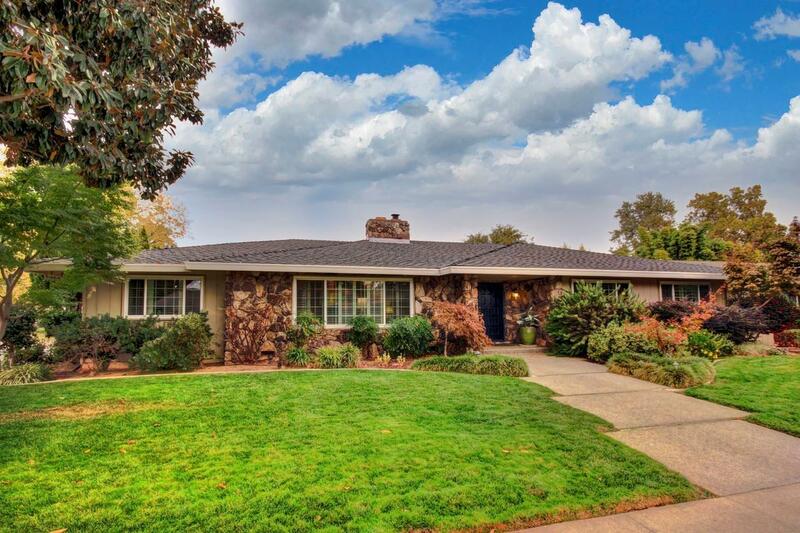 Fabulous Sierra Oaks location within a short walk to Sierra Oaks Elementary School, American River Parkway, and Loehman's Plaza. Remodeled kitchen w/ quartz counters, stainless appliances w/ Bosch dishwasher & double ovens, gas Dacor stove, walk-in pantry & island, master bath remodel w 2 Kohler sinks, clear glass shower door, quartz counters & solar tube. Remodeled Geremia dark bottom pool. Plantation shutters, crown moulding, wood floors, dual pane windows, huge family room with wet bar & game area. Two hot water heaters so no waiting for hot water to get to the master bath. Move in ready!